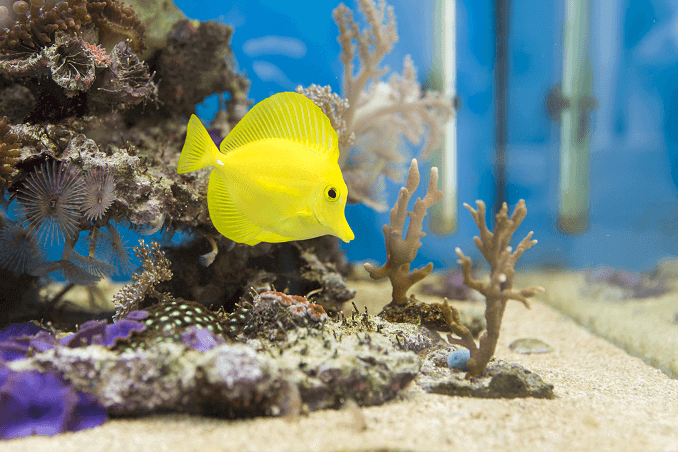 If you’re interested in keeping fish I’m sure you’ve already come across numerous myths about the differences between saltwater and freshwater aquariums. To lots of freshwater aquarists, saltwater aquariums feel like an alien world full of intrigue and mystery! In today’s article we are going to discuss 7 of the most common myths surrounding saltwater vs freshwater aquariums and debunk which are true and which are false. 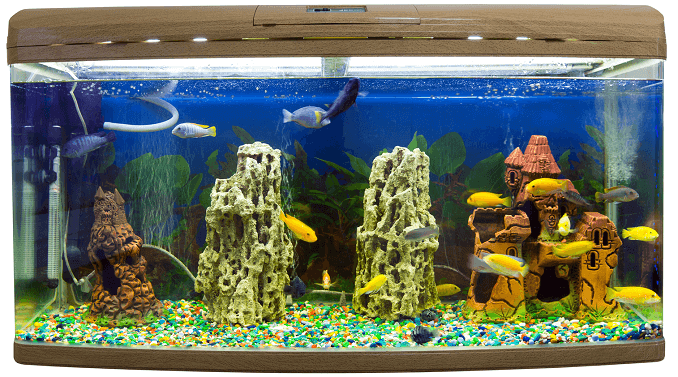 People give numerous reasons as to why freshwater aquariums are easier to keep than saltwater aquariums. The biggest reason being maintaining the condition of the aquarium; let me explain. Think about a natural freshwater environment compared to a saltwater environment. In the ocean, the condition of the water (pH, salinity, chloride, etc.) doesn’t change much at all. This means that the day-to-day living conditions for saltwater fish, generally don’t change; it has remained fairly constant over time. In essence, the ocean is known for its consistent and stable water chemistry. Let’s compare this now to a freshwater environment. Most freshwater environments experience cyclical changes, such as flooding and drying. These cyclical changes, impact the chemical composition of the water in addition to its temperature. In essence, freshwater environments are known for their inconsistent and dynamic water chemistry. As a result, fish living in freshwater environments have evolved to be able to survive in a wide variety of water conditions (5 to 9pH). Whereas, saltwater fish can only survive in very specific water conditions (7.8 to 8.4 pH). So, as a general rule, freshwater fish are much hardier. You can make small mistakes with the water chemistry in your freshwater aquarium and get away with it. Whereas, a small mistake in a saltwater aquarium can be lethal due to the narrow tolerance of water conditions that saltwater fish need. This is why it’s generally accepted that freshwater aquariums are easier to keep, because you don’t have to keep the water conditions within such a tight threshold. Let’s start by addressing the cost of a saltwater aquarium compared to a freshwater aquarium. It’s commonly stated that freshwater aquariums are much cheaper than their saltwater counterpart, both in terms of setup costs and running costs. Below I’ve broken down the startup costs of a freshwater aquarium and a saltwater aquarium (both 50 gallons). Please note this is for a fish only system and whilst it’s only an estimate, it will give you a good indication of what to expect. From the breakdown in the table you can see that saltwater aquariums are roughly twice as expensive to setup, than a freshwater tank. The main reason being because you need to buy more equipment such as powerheads, protein skimmers and you also need live rock. The other key thing to consider is the cost of buying your fish. Clearly the actual cost will depend on the specific species of fish you buy, however you can generally assume that saltwater fish will be more expensive to purchase than freshwater fish. Most freshwater fish can be purchased for $1-$10, whereas saltwater fish start at $10-$20 with certain species costing upward of $100 each. Finally, the running cost is also slightly larger with a saltwater tank because the water testing kits tend to be more expensive and you need to buy salt. So in general yes, saltwater aquariums do tend to be more expensive than their freshwater equivalent. If you’ve been around any aquarist or read any beginner fishkeeping guide, you will have likely come across the statement that: beginners shouldn’t start with saltwater tanks. There are various reasons why people say this: cost, complexity and perceived difficulty. First, as explained above, saltwater fish and tanks are generally more expensive their freshwater equivalents. As a beginner you are almost certainly going to make mistakes and loose fish. The thought being here, is that you should learn and make mistakes on a cheaper tank/fish so you don’t end up wasting a lot of money; hence why people recommend freshwater for their affordability. Second, you need to consider the additional complexity. 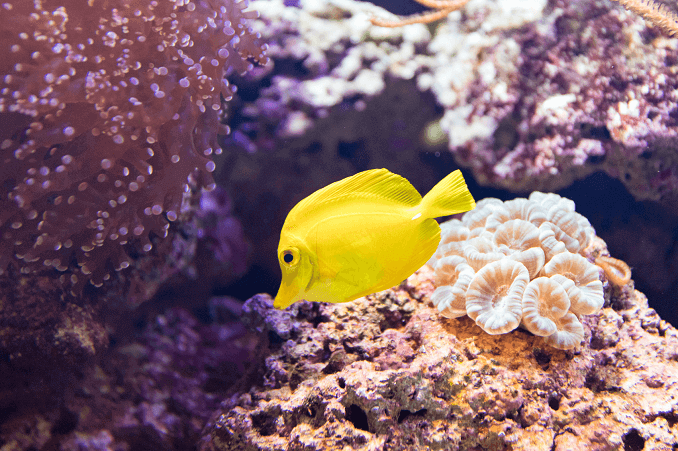 The additional ‘complexity’ of saltwater aquariums depends on the type of aquarium you are planning (Fish-only, Fish-only-with-live-rock, or Reef). If you are planning a fish-only Nano-tank (less than 30 gallons) then there really isn’t any additional complexity. Whereas, with a FOWLR, or reef aquarium, there is lots of additional complexity. For this reason, we would not recommend a beginner starting with a FOWLR or Reef tank; however a saltwater fish only aquarium is fine. Finally, people hold the idea that saltwater aquariums are more difficult to maintain. Again generally we’d say that with a beginner tank this isn’t true. They definitely do require more maintenance, but it isn’t more difficult. You just need to change the water and clean the tank more often than you would with a freshwater aquarium. We would say that if you understand the nitrogen cycle, know how to test and change water, and are diligent with water changes then a beginner can start with a saltwater tank. We’d add a caveat to this though, and state it should be a small, fish-only tank. You should also start with hardy saltwater fish such as clownfish and avoid any delicate species. A beginner can start with a saltwater tank. You can’t repurpose/convert a freshwater tank into a saltwater tank or vice versa. This particular myth is false; you can absolutely convert a freshwater tank into a saltwater tank or vice versa. You just need to make some adjustments. Converting a freshwater aquarium to a saltwater aquarium is the easier option. All you need to do is drain your tank, rinse everything out and give it a good wipe. Make sure you use chlorine-free warm water when you rinse the tank down. You will also need to replace any filters and the substrate for new, and then you are good to start a new cycle. Remember you will also need new accessories with a saltwater tank such as a protein skimmer and a powerhead. Converting a saltwater aquarium to a freshwater aquarium is slightly more difficulty, but nothing too strenuous. Again, drain your tank and make sure to wipe everything clean, using warm chlorine-free water. You must ensure that the salt is completely removed from the tank and accessories, before cycling with freshwater. 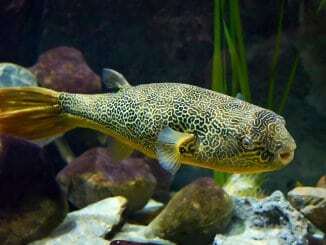 Breeding fish in captivity is definitely not something a beginner routinely undertakes, however it is a commonly held belief that breeding saltwater fish is as easy as breeding freshwater fish. Freshwater fish are known for breeding in captivity and in fact many beginners report success in breeding their own freshwater fish. However, saltwater fish have very strict requirements for breeding. They tend to breed during seasonal changes and clearly when in captivity there are no seasonal changes. It is near impossible to create season changes in your aquarium. 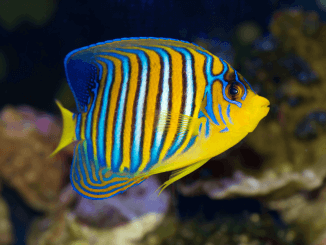 As saltwater fish kept in aquariums don’t receive these seasonal signs to mate, they rarely breed in captivity. This is why saltwater fish cost more than freshwater fish. Saltwater fish you buy are generally caught in the wild, whereas freshwater fish have been bred in captivity. 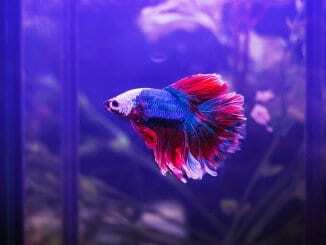 If you are looking to keep fish to breed, I would recommend you go with freshwater fish. This myth is absolutely true, and in fact, it’s one of the reasons why people say beginners shouldn’t have saltwater aquariums. In both a freshwater tank, and a saltwater tank, compounds such as ammonia and nitrate are created during the nitrogen cycle; algae need these compounds to grow. There is one key difference though with a freshwater and a saltwater environment: plants! In a freshwater aquarium, plants are abundant and they also require the same nutrients as algae to grow. This means that plants, not algae, will consume the nutrients. As a result algae are starved of nutrients and its growth is heavily restricted. Whereas in saltwater aquariums, plants are hard to come by. As a result you generally don’t find saltwater aquariums with lots of plants. This means that the nutrients in the water aren’t consumed and this results in the growth of algae. It isn’t all bad news for saltwater aquarists though! You can absolutely keep on top of algae and stop it spoiling your tank; you just need to be diligent with your maintenance. You will need to perform regular water changes and tank cleans, in addition to running a protein skimmer. Providing you keep on top of your maintenance, algae won’t be a problem for saltwater aquariums. However, it is true that saltwater aquariums do tend to grow more algae than freshwater aquariums. Saltwater fish tend to need more room than their freshwater fish counterpart. It’s all to do with oxygen. Saltwater cannot hold the same amount of oxygen as freshwater. Research suggests that seawater contains only around 80% of the oxygen that freshwater does. So what does this mean for your aquarium? It means that with the same sized freshwater and saltwater tank, the saltwater tank has 20% less oxygen in it. Simply put, you can’t keep the same number of saltwater and freshwater fish in the same sized aquarium because there isn’t enough oxygen in the water for saltwater fish. The saltwater fish would simply run out of oxygen. This is why people tend to accept that saltwater aquariums need to be bigger. They don’t need to be, however because of the reduced oxygen content in saltwater, they should be. As a side note many freshwater aquarists can be disappointed with their first saltwater aquarium because they can’t fill it with as many fish as they are used to! If you’re new to fishkeeping and only have a small amount of space I would recommend a freshwater tank as you can keep a greater number of fish in a smaller tank. I hope this article has helped debunk some of the myths that surround saltwater and freshwater aquariums. My favorite myth is that beginner fish keepers can’t start with a saltwater tank! Whilst saltwater aquariums can seem alien to beginner freshwater aquarists, they really aren’t. They just require a few slight changes and your saltwater aquarium will be up and running. However, you should bear in mind though that it is true saltwater tanks require more maintenance time, so you should plan accordingly. This was awesome thank you! I just got a freshwater tank with one pleco a 3´´ bala shark and two smaller fish that were kept in the same tank at the pet store. This was awesome to read becuase I have wanted to look into some saltwater tanks. Can you do something on care for seahorses? My aunt has them and needs a home for them to go to becuase she has been diognosed with Alzheimers and constantly forgets how to take care of them.